ShopSecure is an active security monitoring system developed by Knewron, which not only detects security breaches and unusual activities but also informs the occurrence to the user and authorities. The closed-circuit television (CCTV) cameras are very popular amongst the shop owners and security specialists but they have several shortcomings. First of all, the CCTV cameras are used for live monitoring during the daytime, but when a shop is closed, the cameras are also disabled, and this increases vulnerability. Even if they are not disabled after closed hours, there is no way for the employer to know about a security breach until the footage for previous night is checked. Sometimes when only a few goods are stolen from a large quantity of stocks, it may go unnoticed until reconciliation. Moreover, CCTV monitoring is a passive security system where the camera can only record the video, but the CCTV by itself cannot detect any suspicious activity or inform it to whomsoever concerned. Since you need a human (or any other specialised mechanism) to interpret the feed and act accordingly, this method is tedious and prone to errors. Due to all these factors, the CCTV method is almost meaningless when it comes to intrusion detection. The distribution partners of Knewron, S.V. TechnoCrafts, were approached by shop owners in their area who said that many of them were desperately looking for something which could serve as an effective alternative to CCTV cameras and be economical for their pockets. “This critical need prompted us to work on a solution that could serve the purpose with the help of technology at hand,” says T. Anand, the co-founder of Knewron. Imagine a device that is user-friendly, economical, reliable, records the video round the clock, does some analysis by itself, detects suspicious activities and takes precautionary measures. You need an active system for fulfilling these conditions and ShopSecure is one such system. It can detect malfunctioning or suspicious incidents and report or act accordingly. ShopSecure would not wait until the footage is analysed by the user, but it will intimate them instantly of security breach and can also sound an alarm to scare away intruders. 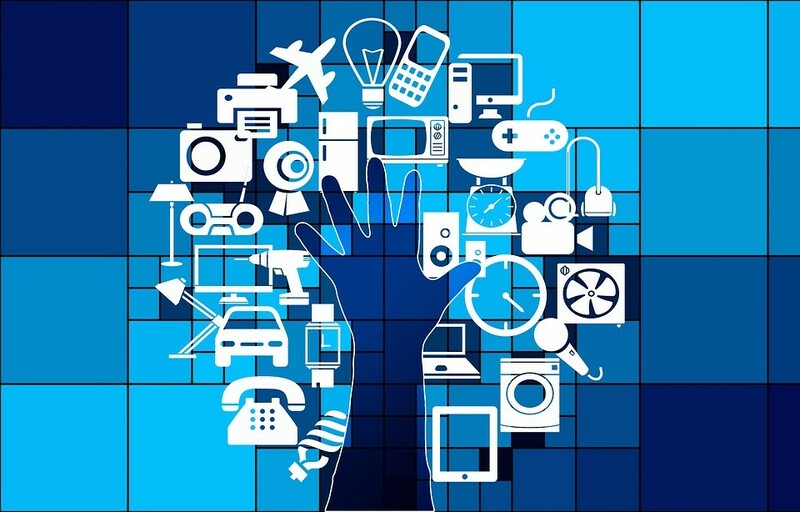 ShopSecure belongs to the Internet of Things (IoT) device line with fundamental IoT qualities. Basically it is an M2M communication model which is interoperable in nature. 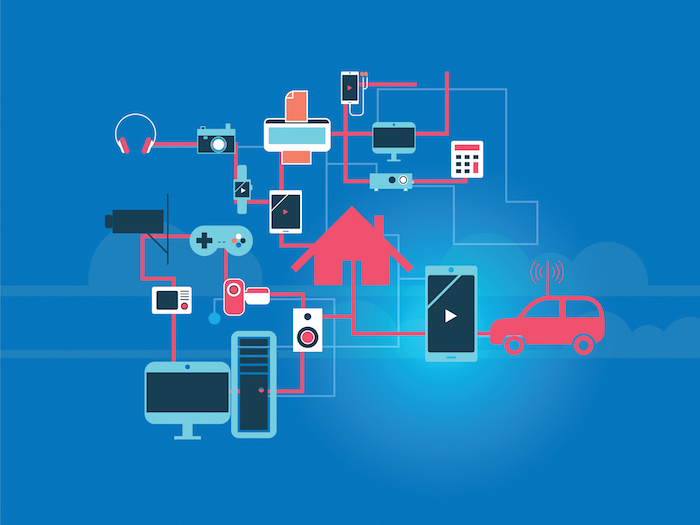 It involves uniquely addressable physical entity connected in local/private or cloud network for effective functioning. The device activity log can be streamed over the Internet and later analysed by users. 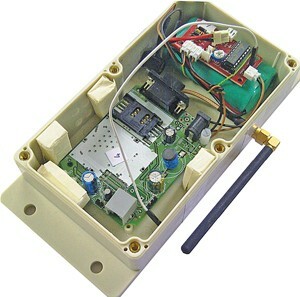 The device can operate autonomously with Internet Bridge over cloud (with GPRS or 3G) or in direct contact mode (with GSM module). All the intelligence and processing of ShopSecure comes from Atmel’s 8-bit AVR microcontroller core around which this device is built. Temperature sensor, audio playback and battery changeover recharging unit are the other key components of this device. The device is equipped with infiltration sensors (MEMs, reed switches or micro-switches, etc) which actively monitor environment and doors/windows when armed. It is designed to intimate the user when it senses anything out of the ordinary, like a sudden rise in temperature, and it can take appropriate predefined actions. ShopSecure can be remotely controlled and configured and is constructed from some of the commonly available sensors and other components, thus making it low-cost. Its configuration and operation are so simple that, if you can use a mobile phone, you can use it. In case of devices deploying CCTVs or IR sensors and other proximity sensors, sensitivity is a matter of specification. The sensors deployed in ShopSecure are based on make-break mechanism and hence oblivious of sensitivity. ShopSecure is a customisable equipment. It allows for the installation of various types of sensors for detection of breach as per customer requirements and suitability of application. These sensors then form input to ShopSecure for further processing. The device is mostly put in sleep mode. An abnormal activity is detected depending upon sensor outputs and ShopSecure configuration. Whenever any problem is detected, the device would alert user(s) with an SMS and a phone call to the predefined numbers with audio playback stating the emergency. The users can also opt for the device to directly call authorities (police or fire brigade) regarding the incident. The gadget is provided with two modes of operation: Stealth mode and Shout mode. In Stealth mode, if intrusion is detected, ShopSecure would silently inform users about the incident and then they can rush towards that particular region and perhaps catch the intruders in action—red handed. However, in cases where the user is far away, it can be switched to Shout mode. Here, when intrusion occurs, an alarm is sounded to scare away the intruders and simultaneously inform users about the incident. It is the Stealth mode of ShopSecure which makes it special compared to other similar products available in the market. Being an IoT product, the main challenge during the design of ShopSecure was the need for a software that offers crash-free operation and provides as much up-time for the device as possible. The team listed as many failure modes as possible that ShopSecure could face during its operational life cycle. Then they worked on reducing the risks related to each one. “That was perhaps the longest part of the development cycle; however, it was the critical one and useful one too,” says Anand, managing director, Knewron. Another challenge was system recovery under crash conditions. The team had to work on how ShopSecure would respond to unauthorised access and how it would recover from the crashes caused by this or any other reason. Significant portion of software addresses this part now. Besides, providing audio calling facility in regional language was another challenge. It was a tricky issue to sync audio playback with automated phone calls. The company currently offers only Hindi or English versions of audio playback for simplicity and to keep the costs low. Since ShopSecure has rechargeable battery as a backup option, power consumption has to be very low to ensure reliable uptime for longer hours. Optimisation of system resources to consume lowest power possible was yet another issue that had to be taken care of. Since the product was developed keeping in mind the local shop owners, the overall cost was to be closely monitored during development, and the team was successful in making it affordable. In all, it took around five months to get ShopSecure from idea to a finished product. The initial version of ShopSecure is a finished product and has been available for ordering since the end of 2013. As of date, ShopSecure is the lowest priced device of its kind available in the market. It has the capability to interface 14 break-in sensors. However, if the buyer needs only lesser number of sensors, the cost of installation would also be lesser. The development team has already started working on the next major revision and it should be available by the first quarter of 2014. The revised product would feature better aesthetics, more sensing capabilities (vibrations, sound, fire, movement, etc), increased ease of installation, in-built statistical analysis, additional robustness, smaller form factor and lower cost. It would also include smartphone application for ShopSecure control, Web-based control application with statistical analysis and visualisation capability and, more importantly, intra-device communication mode. This feature (intra-device communication mode) would make ShopSecure truly a part of the IoT system; this would mean that, in case of emergency, two devices in vicinity can cooperate with each other for effective response and outcome. Although ShopSecure was conceived with the motive to help shop owners for security monitoring, it can be easily customised for securing homes. Suppose you are on vacation and someone breaks into your house, the ShopSecure (or shall we call it HomeSecure now) can send an informing call to your relatives, neighbours, security guard or even to the local police station, at the very moment of intrusion. That is yet another application of the device. In short, ShopSecure is an active security system that observes the surroundings, acts based on guidelines predefined by the user, keeps a log of the happenings, and intimates them when something unusual or out of range happens—all this at a reasonable cost. IoT: Smiles ahead, Add years to your life.